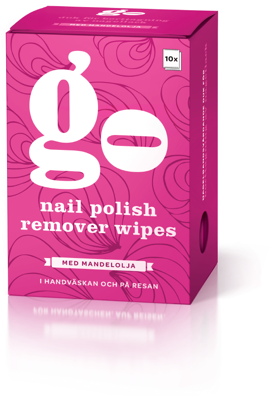 GO nail polish remover | Hpp Europe - Puhtautta ja suojaa elämän tarpeisiin. Removes nail polish quickly and effortlessly! 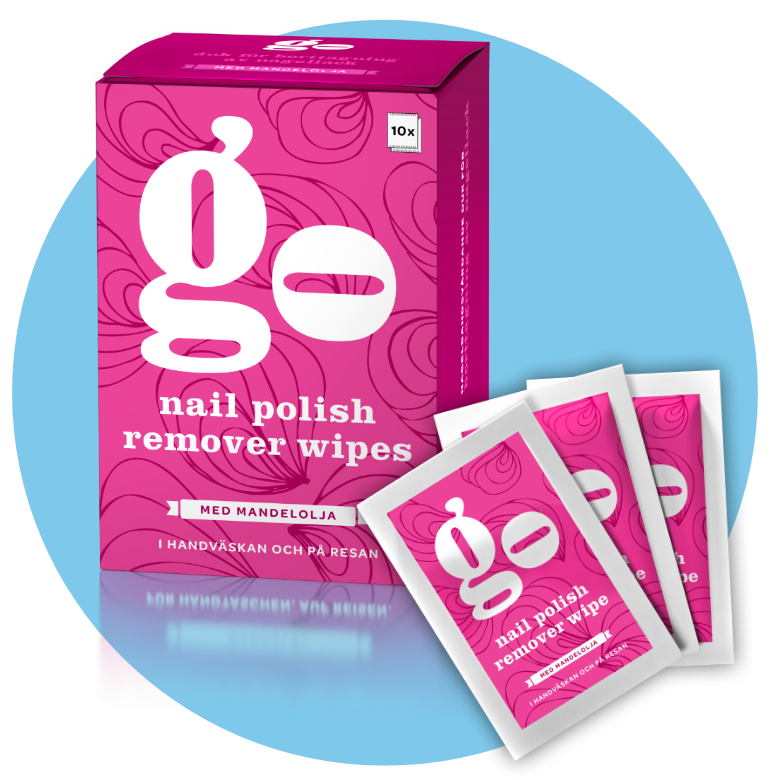 The GO nail polish remover wipe lets you throw out those liquid nail polish remover bottles and cotton pads. GO is acetone-free and contains C-vitamin and almond oil. The box contains ten ready-to-use, individually packaged nail polish remover wipes.